Jill DeWit: Welcome to show number five. Can you believe it? 005. Here we are. Thank you for joining me. 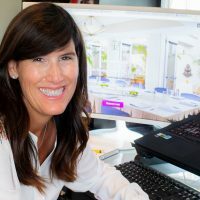 This show is about getting started in the real estate, or just getting about getting started in real estate I should say, by flipping the easiest type of property and that’s land. Rural vacant land. Today I’m going to talk about a huge subject among people getting started in land, which is how do I price rural vacant land? There aren’t normal comps out there. So today I’m going to show you and help you. 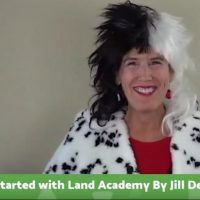 Jill DeWit: I am Jill Dewitt, Co founder of Land Academy. And together with my partner Steven Jack Butala, we have completed close to 16,000 transactions since the 90s. Many property types, not just land. We all know that there’s money to be made in real estate and most people are doing it wrong. I created this weekly live show because I found many smart, confused, individuals not getting the simple answers that they need. I’m in a lot of different Facebook groups and a lot of online communities and I see a lot of people with really good questions, and they’re really smart and they’re not getting any answers. So here I am and week by week I’m here to help with all the … connect all the dots and put all the pieces together for you. 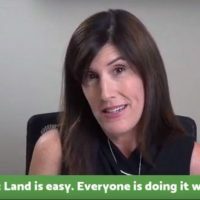 Jill DeWit: Every Wednesday at 2:00 I’m here, you can find me and I’m going to help you know what you need to know to get started flipping land so that you can start there if you want and then move on to bigger transactions and maybe even other types of real estate. So, now I’m going to share a few or one simple [inaudible 00:01:58] vacant land. And then in about 15 minutes I’m going to answer all your questions. Jill DeWit: So what makes a pricing rural vacant land so hard? Well, reason number one, no comps. If you’ve not already noticed, it’s really hard to find reliable comparisons like completed sales for rural vacant land. Many transactions are not on the MLS and not all the counties track sales prices. Think about all the online transactions happening via social media and a variety of selling sites. This is happening all the time. People post things, all kinds of property types. We buy and sell a ton of land off market that way as well. And also remember sales prices are not on deeds. So, that’s reason number one why you can’t get some comps. Reason number two, you have investors like me who are giving away land for free or I might be transferring properties in between some of my companies and I just mark down a $1 sales price if I need to put it on any supporting documents for any reason. Jill DeWit: So, I’m messing up the figures. And then the third reason that this is a hard and pricing rural vacant land is hard, is the assessed values can be so inaccurate and so off. Because remember, you’re dealing with land that has zero improvements. That’s how you know it’s vacant. There’s nothing on there. So there’s really nothing for the assessor to gauge a price by. And by the way, I’m going to talk about that in another show upcoming in a couple of weeks. Why is the assessor data not a good gauge here? And what really goes on there, so I’m going to share more with that in another show. Jill DeWit: Okay, so we now we know kind of why it’s the way it is. So great. I don’t have comps, I don’t have anything good. How do I price this land? What do I do? You use for sale property to help you price your offers. So, first I’m going to cover our pricing strategy, which is the concept of half and then I’m going to show you how it works on the screen here and where to look and what to do. So the concept of half is this, you want to buy property priced near half of similar properties that are for sale. And then to double your money you should buy at half of that. So I want to repeat that one more time. So you should be, as you’re looking at for sale properties and you’re kind of gauging what you’re going to buy and how you’re going to sell your property. I want you to think about, all right, I want to price my for sale property at half of what I’m seeing out here for sale and man, I want to double my money. So if I’m going to double my money, I need to buy at half of that. Boy, that sounds hard. It’s not hard. Jill DeWit: So just think about this. So if a similar properties are priced at, I’m going to give you some numbers to help you here. So there’s similar properties out there and let’s say whatever county you’re looking at, and they’re priced around $10,000. So you want to buy it at … you want to sell yours around $5,000, you need to buy it around $2,500. And here’s another thought. If everything out there is priced at $10,000 and your property is $5,000, do you think you’re going to have trouble selling it really fast? Heck no. And that is one of the big reasons why land academy members don’t spend a whole lot of time. You noticed that our online community, and you’ve been on calls or listened to us, we don’t spend a whole lot of time talking about sales because that’s not an issue because we’re selling them at these prices. Jill DeWit: We don’t worry about it. We know how to buy them right? And they move really fast and we can teach you. So, now I’m going to walk you through this. So let me paint the picture here. Give you kind of a scenario to work on. Let’s say you’ve done your pre mailer campaign research and you’ve identified that you want to buy five acre properties in Izard County, Arkansas. You’ve already done your homework. You know that the property’s priced that way. Meet your budget. You know that there are not too many properties that size and that county for sale. Not too few, you know, that it has a great county website, really easy to go on and access and look up information and they’re easily reached. So you’ve done all your homework, so you’ve got that narrowed down. Now you’re getting ready to sit down and figure out where to price. And how to price. So I’m going to show you. Here we go. No. Hold please. Jill DeWit: One moment. Here we go. Bear with me here. All right, here we are. I’m going to give you one place to look at these properties here. This is on land watch. So what I did, you can see I kinda prefilled in over here, you know United States, Arkansas, Izard county, it’s Izard. It automatically pulled in the Ozarks for me. I remember we talked about five acres. So I’m going to scroll down here to look at the parcel size. I can put a custom size in here. I don’t want all the zero to 10 acres. I’m really looking for five acres. So I’m going to scroll down. I never put in exactly five because even though it’s five acres, not every five acre property is exactly five acres. So I’m putting in four point two to five point eight. So I know I’m getting the five acre guys in here. It might be four point two, four point three, one point four. That’s what I need to get a good mix here. I click go. All right, now I’m going to scroll down. You can see I’ve got one more thing. I didn’t click land. I’m going to put the property type in here as land. Jill DeWit: I’m gonna check everything at the top here. First I’m going to go under modify results in land watch. I’ve got Arkansas, got Izard county, four point two to five point eight and I’ve got land. Okay. Just see I’ve got 15 listings. What am I going to do? I’m going to sort by price low to high. I’m going to start looking here. Look at what we’ve got here. There’s 15 listings. I’ve got 18.5 is the lowest one, so $18,500, got $19,000. I’ve got $22,000. These are all pretty consistent. So $18,000, $25,000, $27,000, $29,000, $31,000. We’ve got some weird ones in here like 40. This one actually just popped in here today. It wasn’t in here yesterday. It’s kind of funny. This $97,000 and 106. Some of these were in here when I looked yesterday, so I’m going to throw out the really big crazy ones because there’s obviously some extra attribute that I don’t need. I’m looking at the majority on here. So let’s just say the majority right now, the lowest is $18,000 and the highest is around what? 31? 32? So, I’m going to say the middle of that is about $25,000. Let me come back here. Jill DeWit: So let me, I want to reiterate this. So, we just did a look. I came up with a bunch of properties, five acres, Izard County, Arkansas number and so I know the middles around $25,000. So that means that if I could sell a property at half that. So around $12,000 to $14,000, I’d do great. So, that means I need to buy for half of that. I need to offer for these five acre properties, between $6,000 and $7,000. That’s how I priced my offer campaign. And one note, just so you know too. We never send out an offer for exactly $6,000, or exactly $6,500. We always make it some kind of a random weird number and that elicits a response and that I will cover more too in another week. So, let’s confirm one more place online. I just want to double check before, gosh, I’m spending money, I’m downloading this data and I’m spending money on getting these mailers out. So I’m going to check my theory one more place here. So, follow this. 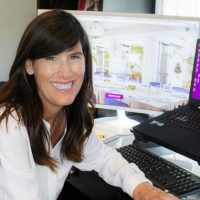 Jill DeWit: So, here I am in Realtor.com. I prefilled in Izard County, Arkansas. Now, I’m going to go under properties, it’s given me all these homes and things. I don’t want that. I’m going to go into property type. I’m only going to select land and then under more filters I’m going to narrow it down to size. I’m going to go to lot size. And look, it kind of gives me an option. It’s going to pull around five acres for me. So, I’m going to do that and I’m going to view my listings. Let’s see what comes up here. And remember, I’m gonna go over to the sort by, again I don’t need the most expensive on the block. I’m trying to come in low. So, I’m gonna start with the lowest. Here we go. Look at this. Lowest price is $18,500. I got $22,500. $22,500. So again, so based on my theory, so that just confirmed my theories again, correct there. Jill DeWit: So I’m wondering. There’s two sites that I’m wondering that you’re thinking about Autumn. First is our personal land selling a site which is landstay.com. There’s a credit card option to click and pay and check out immediately so that one on our site is already to go. On our community land selling site, land pin. That’s where all of our land academy members are posting their properties for sale and there’s not a way for me to manage and have it click on my site and go into your bank account basically if you’re selling on my site. So, it’s not there. So, that may be where you saw, that’s going to link. So, you’re a member of land academy and you’re posting your property on land pin, what’s going to happen is, I’m going to direct them, from there, they’re going to click and go to your site where you collect the money, and it goes right into your bank account. So, that’s how that works. So, quick question. Jill DeWit: Autumn also asks, “I also received your email on the personal site, landstay. You can purchase properties there.”Yes, that’s our site. Thank you. Not promoting Landstay, but thank you. You know what’s funny too, Autumn, I have to point out. Just like I said, so many of my properties are sold before they get to Landstay. So I feel bad, it’s not a full accurate picture of all the land that goes through our hands here because sometimes I get properties in and I don’t know if I talked about it last week or week before, but I often will blast my buyers list for them to purchase just off an email. And then I never have to post a property and that’s the best place to be. Jill DeWit: So let’s see. I see. Land Academy’s answering in. That’s a good question. “What are options deals and is that something you recommend for beginners?” I don’t recommend options deals for beginners. It can get a little tricky, a little confusing, and sometimes hard to manage, and a little stressful. I’d rather you save up your money, buy what you can afford, and if it takes you two days or two weeks to sell it, it doesn’t matter. You paid cash for it, it’s fine. You don’t have to think about it. And option is where you have an agreement with a seller for a certain price and they sign an option agreements, it’s called the penman option agreement, just a one page thing that they’re allowing me to go out and try to market the property and sell it on my website and kind of as my own. And if I sell it, then once that buyer pays me, I buy it from my seller, so it gets a little confusing. Jill DeWit: If you have a lot of option agreements out there, it’s kinda hard to manage. And I’m not a huge fan. I really only use option agreements when the seller and I don’t necessarily agree on the price. I’m not real sure about it. So I’ll say, you know what, “Hey, I’m not going to plop down that much money. I love it at $8,000. I’m not so great on it at $10,000, but I think I can sell it for $12,000 or $14,000. So maybe then I’ll do an option agreement. If I sell it at $12,000 or $14,000 and it’s a good profit. Great. You know, it worked out fine. If I don’t sell it. It doesn’t matter. I didn’t spend that money I wasn’t comfortable with. The other reason I might use an option agreement is if things are really great and they’re really hot and I’m out of money right now, so I don’t have the funds to do it, then I might do an option agreement. So, good question. Jill DeWit: Let’s see here. Unica has some good questions. “What support is available for new members after joining?” Awesome question [inaudible 00:18:26] is one of the reasons why our new members are so darn successful is a lot of support. We have number one, our free online community. There’s a place for members and nonmembers, so you can start there. Landinvestors.com. We also have weekly live member calls. It’s every Thursday at 3:00, you can get on a Webinar with us, ask questions, and then the third places we also have, well there’s more than three, but we also have one on one consulting that you can do if you really want some personal attention. And then this year we started doing live events, if you want to be in a room with us, be able to raise your hand, ask a question, have a sit down with you and kinda blessed your mailer or help you as you’re growing your business. Whatever level you’re at, we do that as well. So, thank you. Jill DeWit: All right. So, Jhas, I hope I’m pronouncing that okay. Jhas asked, “What can we expect from Land Academy 2.0?” Land Academy 2.0, which is coming out. I’ll say it now. We made it official on black Friday, so I think that’s November 23rd I believe. But Black Friday is when land academy 2.0 will be available. And what that is, is a couple of things. One, it’s extension of 1.0, you still want 1.0, you want to watch 1.0, but there’s some things that are better, the tools that we have now and how to use them. Things that we didn’t have at 1.0. Also in 2.0, we’re able to share with you everything that we’ve learned from our members over the last couple of years, all that extra information on what experiences they’ve had and how we’ve helped them and ways to make it easier and faster and better for you. And then the other part, there’s two more parts of 2.0, three is infill lots. So, when you’re ready and you want to start going to a different property type or bigger properties or more dollar amount. Infill lots is the next natural progression. Jill DeWit: So, we get you there. So, that’s included. And then the fourth thing in 2.0 is growing your business. You’ve been doing 1.0 maybe for a little while and you got it figured out. You know this is what you want to do. You understand the process, now you’re ready to take it to the next level and do more transactions. And maybe start replacing the tasks that you did with somebody else or putting a system in place. All the things are involved in growing your business, so good question. Jill DeWit: Let’s see. Ann asks, and asks, “What does due diligence entail?” Excellent. Due diligence is checking all the boxes to make sure that the property you’re buying is not only a good property and you price it right, but it’s easy to transfer. You know what the tax situation is, you know where it is, you know everything you know about it, you know the sellers, the person you’re talking to is the seller, all of those things that you need to successfully make the transaction happen. That’s all the due diligence. It’s going to be, like I said, checking back taxes, everything from that to looking at it on a map, making sure it has the four A’s, think about access, think about affordability, think about attribute, and think about acreage. So those are just some of the things that we do. 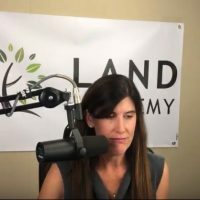 The four A’s is part of the due diligence and when you join land academy, that’s part of what we include too, is I have a cheat sheet for you, so that helps you and why when a call comes in, because that’s when you want to start thinking about this and checking some of those information right away. Jill DeWit: So when a call comes in that someone received your offer, they’re calling you back, they want to sell right away, you’re going to start making, you know, where were you in the tax situation and start looking up that information and doing your due diligence. Right then. Jill DeWit: Annette asks, “When you look up the listings and see properties for sale by people who are obviously following a similar formula, do you disregard those listings or do you do half of the lowest price out there even if the lowest already seems half the average place.” Excellent. Excellent question, Annette. And it’d be very hard to undercut our community even more. And so I wouldn’t do that and it’s funny, once you get into our group, I’ll tell you Annette, we’re not a real large group, but the transactions that we do and the volume that we do and the money that’s going on is huge. And that’s really what we want. I don’t want a huge community of thousands of thousands. I want a tight community. They’re all doing really big transactions and they’re just getting bigger transactions better and better. That’s what we’re doing, and faster. So I wouldn’t try to do that. I would do what I do. And if I see a lot of competition in one area, you know what? I wouldn’t go in that area. So I would go into a new area. Jill DeWit: And that’s one of the things about who we are and what we are teaching here. I don’t believe that there’s a secret county list. If there were, we’d all be stuck in that secret county list of 10 or 20 or 50. Whoever made up a list, I don’t want to do that. I want you to know the concept. That’s what we teach. I want you to learn what we look for, what triggers we look for, what makes it a good county. You know, all those things. So you can go off because you know what? Come on. There’s 3,144 counties in this country. There are not that many land academy members. I can guarantee you that. So if we were all in one county uniquely, we could all be killing it for a long time. By the time I do all the five acres and the 10 acres, and the 20 acres, there’s so much property out there, when you think about it, just go to an area and that’s where some of our members are killing it. And I love it. Jill DeWit: I get these calls from our members that are in our random county in Colorado or Arkansas, or Oklahoma, who knows where, Georgia, places that I haven’t really touched and they’re killing it and it’s because we’ve taught them what to look for, they’re working quietly over there. And it’s funny because we get this on our consulting calls all the time, Jack and I will talk to people and they’ll say, I’m like, wow, this is a great county. And they’re like, “Yeah, isn’t it? Please don’t tell anybody.” I said, don’t, don’t worry. We don’t want to share that. And that’s what you should be doing. Go off and you know this theory, you know how this works. Go go do it. Pick your own area and kill it. Jill DeWit: Let’s see. I have a question here within my group, “Does this pricing by half work everywhere?” The answer is yes. It’s just depends on what your budget is. Your budget might be Izard county where you can buy things for $6,000. It might be somewhere in a rural part of Texas where you can buy acreage for $500 an acre, whatever your budget is. And so you’re buying properties at $2,500 because that’s all you can afford. Maybe you’re doing it in, gosh, LA county or some really busy county where maybe it’s in LA county, we’re an infill lot is, you know, $300,000, let’s just say, because that’s your budget. Well, guess what, the concept, the path does work. Yes. Jill DeWit: Hi Roberto. Nice to see you. Roberto asks, “Will your perspective on specific offer numbers be on the next podcast?” And you know what, Roberto, I don’t remember. I have to tell you, I’ll share a little secret. So, we record every Thursday morning, so tomorrow, my morning with Stephen will be busy recording all our podcasts episodes for the next week and when we sit down like this show, I put my heart and soul into it and I’m like so focused on it and then I leave and I’m just like, whew. Okay. So I honestly don’t remember what show is coming up. I guess today in about a half hour or even tomorrow. So I apologize, but I will tell you this, if you want some answers to questions like that, if you want to give me a specific question, A, drop it in here in the comments section like you’re doing and we can answer it, we can get back to you, or feel free to ask us in our online community or just, heck, Facebook and I will answer that for you. So, thank you. Jill DeWit: Gotta give a nice little thumbs up and thank you. Thank you Justin. Glad you’re here watching. Lisa asks, “Hi Jill. Do you only target a certain size, a certain lot size per mailer, or do you mix it up like sending five to a hundred acres in the same county? I’ve been doing it the second way. I wonder if I’m doing it right.” So when you’re new and when you’re starting I would try to hone in on one to make it easier. So, I would pick like all the five acres in a certain county. I would send out a 1,500 unit mailer to just the five acres. So, I know all the calls that are coming back into me. I know I’m only comparing apples to apples at that moment. It’s going to make it a lot easier when I’m going through doing my due diligence and I’m looking back at my numbers, making sure, gosh, did I price that one correctly? You know, I don’t even remember what size was that. It just makes it a little easier when you’re starting because when you’re … So you send out, here’s kind of how it does, you send out 1,500 units. Maybe you get hopefully 20 calls back in two or three weeks, whatever it is. Jill DeWit: Now you line them all up in a spreadsheet, you’re going to prioritize them based on how easy they are to close, all your due diligence. One might be on a road, one might be way out there so that one might get pushed down on the list. One might be husband and wife and they both own it and are alive, and gosh, they’re home every day and easy to buy. The other one, they might have a distant family member, well that one gets pushed down the list, so one might have they’re current on their taxes, fantastic. One might be they owe $500 or $5,000 depending on the property, on their back taxes. That one gets pushed down the list. So, you’re buying the top ones. Jill DeWit: Once you get rolling, especially if you know a county, sure mix it up, you know, do different sizes. My favorite is even mix it up with once you know a certain county in a certain area with another county, another area. Because when you have property for sale on your website, gosh, it’s sure nice to see a variety instead of seeing, you know, “Hey Lisa happens to be the obviously is the only person buying and selling in, my example, Izard county. It would be really nice to see Lisa has property in Arkansas, she has Texas and she has Arizona and she has New Mexico and she has, Gosh, Georgia in here.” So that’s where I’d start to really start to branch out and ad and then go from there. Jill DeWit: So let’s see here. So, Jas asks, “What do you think our tasks that we best to delegate to a virtual assistant.” I would absolutely delegate any routine task that doesn’t involve talking to someone but involves looking up something online and popping it in a spreadsheet such as maybe GPS coordinates. Maybe you want a center point cause you’re gonna look at all these properties at once. You could have a VA pop in a GPS coordinate for your real quick. You could have a VA pop in ownership detail. They could put in, I talked to Bob Smith, you can go back and look and make sure, owned by Robert and Susie Smith. They could pop that in a spreadsheet for you. Tax information. A VA could go on a county site and look up the back tax situation, pop it in for you. So anything like that. And as I’ve mentioned before another time, the best way that we found, and this is why you’re here. Let me save you. I’ve made all the mistakes. I can help you. Make them a video. If you send them a checklist of these 10 things. It’s a little bit harder than if you just make them a quick video showing them, go to the site, here’s what I want you to do and fill it in here, and then all our VA’s are off and running. Jill DeWit: Pono, thank you very much. “Land Academy is awesome and I’m a big fan.” Thank you. “Any word on when house academy would be available? Super excited for that.” Well, here’s what’s happening right now with house academy, Pono. Last week I sent out an email to all of our land academy members in preparation for House Academy, 2019. I am looking for boots on the ground anywhere in Southern California, so if your land academy member and did not get that email, please reach out to my teams. You have all that information. If you’re thinking about it, please let me know. That’s phase one right now. We’ve already been running house academy successfully in Arizona in the Phoenix area, so now Steve and I are bringing in Southern California. We are lining up our transaction coordinators and we are actually spending the rest of this year and kind of the beginning, probably in January, we’ll have those people in place and start doing those transactions and start further defining how house academy is going to go. How we’re going to share it, what we’re going to share and that. So, great question. I’m glad you’re excited. I’m excited too. So it’s just another property type. There are bigger numbers depending on the area and it’s gonna be awesome. You’re welcome. Annette. Jill DeWit: Reggie asks, “How do you determine counties that are best for land deals? What are your qualifications?” Great question. There are a numerous things that Steven looks at and that’s part of what’s in land academy when I was talking about the process. You’re looking at like population density. You’re looking at areas that are not too far from a big city that people can get to. These are things that we’ve found that trigger people to buy our property type and want to use them. You look at, not necessarily where the people are on their taxes, I don’t really care if it’s a back tax property, but I do look at counties where there are a number of properties or factors that go into it where they do have properties that are in a back tax situation. So it might trigger that, hey, I might be able to pickup some properties here because not everyone’s paying our taxes on time. They’re not all know holding onto them. So that might just be a couple of the things that we go into. There’s a lot of detail on that, but that kind of gives you an idea of what we look at. Thanks. Jill DeWit: Did we cover them? I think I covered the questions. So thank you very much. I have something awesome that I wanted to share right now that is coming up and it has to do with our company offers to owners. So, I’m going to show this to you here. My team is going to show this to you, offers owners starting today, and this is for everyone, whether you are a new user or an active user, so everybody gets 20 percent off right now and the code is holiday20 at checkout. So, there you go. Offers to owners special 20 percent off, use the coupon code holiday20 at checkout and that will get you that discount. Plus if you’re just thinking about this, Gosh, I don’t know what to do and you know, I want to test this or you want to test offers to owners. Let’s see how good this data is. That Land Academy has her hands on, the first 10 people who go in and use holiday20. You’ve got a deal on load at least 1,200, you got to plan on sending out at least 1,200 mailers, because guess what, we’re going to give you 1,200 ownership records. 1,200 data downloads, free. Jill DeWit: So, that’s for the first 10 people. You’re going to go to offerstoowners.com, our mailer website. Go in and check out that you’re going to send out 1,200 mailers, use a code holiday20 and then my team will reach out to you and get your details and send you 1,200 ownership records. And this is only available for the next two weeks. So, starting today, ending two weeks from today. So awesome, awesome promotion that we’re doing right now. If you have not got your hands on this data, it’s amazing. Jill DeWit: So by the way, think about it. So this is for nonmembers because otherwise you have the data. So, nonmembers, what this means is for 58 cents, which is actually less than 58 cents because you’re getting it at 20 percent off. So, somebody has to do the math for me, so 20 percent of 58 cents, you’re going to get data and mail out there. Okay? That’s awesome. That’s what’s going on right now. But that’s for the first 10 people get the data. Everybody else gets the 20 percent off. So 20 percent, I should have the map here. Somebody, my team can type in here for me, but that’s huge. Talk about, that’s going to be probably less than the price of a stamp. And that’s our whole goal here. You shouldn’t be licking an envelope. I think that’s it. Jill DeWit: So, thank you very much for joining me today. Please feel free to leave any comments or topic ideas, any suggestions you have in the area below. I am Jill DeWit from Land Academy. I’m here to help you get started. That’s the hardest part.